2011 was my first running race ever and I wasn’t trained up for a 10k, much less a hilly trail 10k. Happy 4 year anniversary to me! I will set my goal at 51:59 (sub 52) time. I have had Achilles tendinitis the past 2 weeks, so I am not sure how this will affect me. It is not painful, but I am scared to push too hard. I will know more by race day, as I plan to do a run today. I have been doing so much tapering, racking , resting and recovering since early January, that my training is all out of whack. I don’t have a good feel for where I am at, performance wise. Going between a 50k race pace and a 10k race pace is kind of tough. We have had a lot of snow the past couple of weeks. Explore Park hasn’t been used much at all, so there is up to 10 inches of snow there. This should be interesting! The trail will be beat down, since I am not a lead runner, so maybe it won’t be good bad. The temperature is supposed to be around 7 degrees. 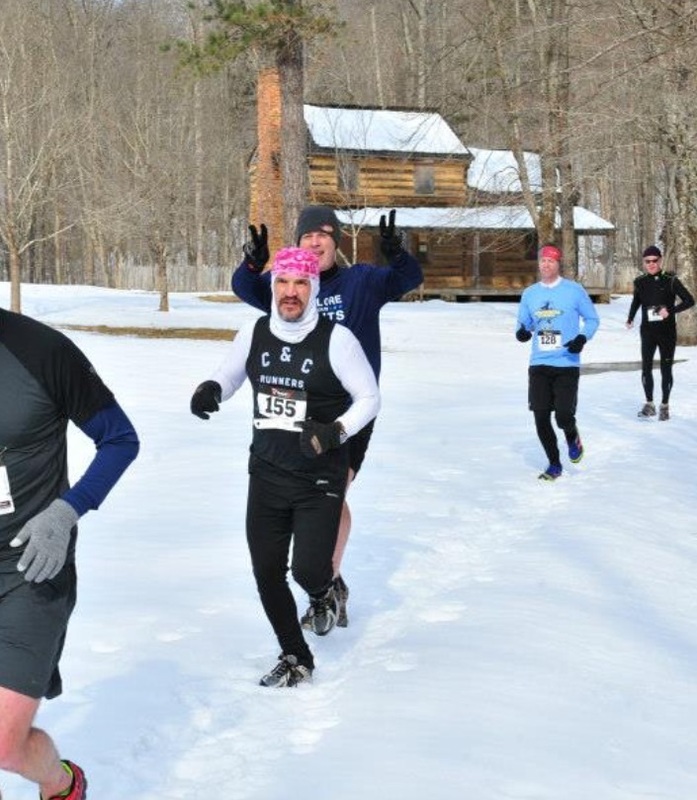 This may be the coldest race I have done so far. I think the snow will slow everyone down, so that may affect my goal. 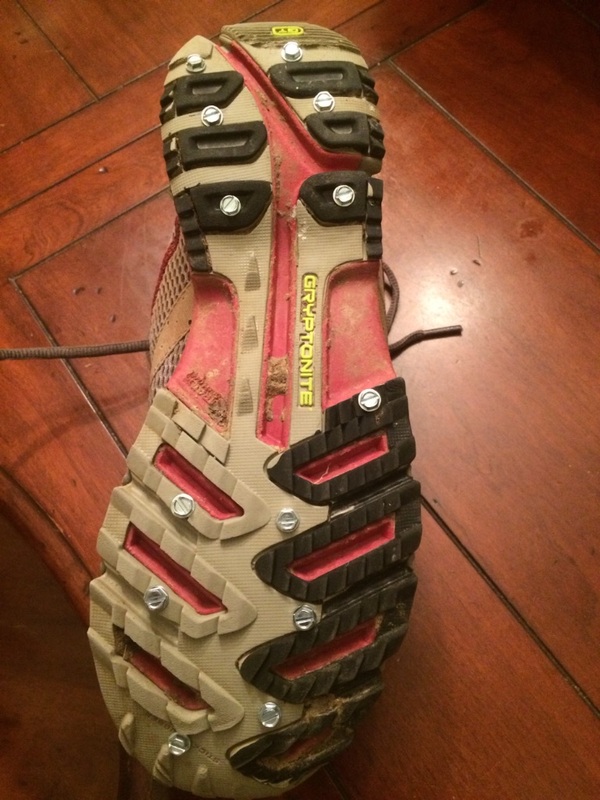 There has been a lot of talk about putting sheet metal screws in your shoes to give you more traction. I did this yesterday..hope it helps! 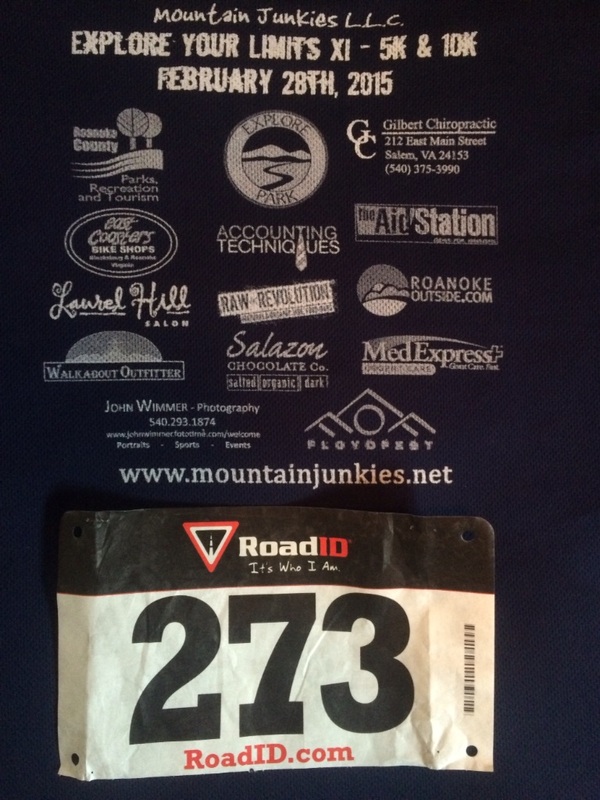 This is the shirt and bib I picked up before the race. Somehow a mistake was made by me or the race director. I thought I signed up for the 10k, but got a yellow bib (5K) instead of a white bib(10K). I switched just before the race. 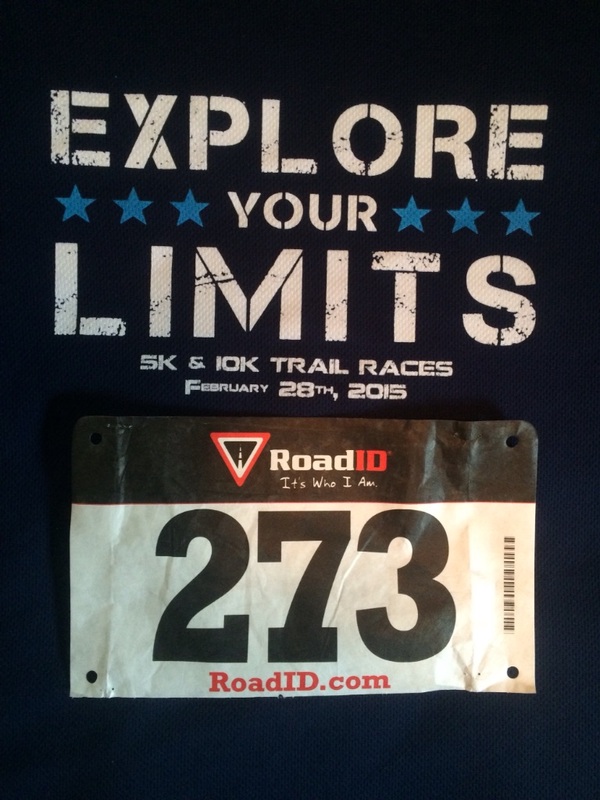 Here is a picture of the shirt and bib with the correct 10k bib. I chose to wear shorts, which is very normal for me. Several people made a big deal out of me wearing shorts on this cold day, in the snow. The camera guy took a picture of me (pre race) and said “Do they have a drug policy at your work?”. There were at least a couple of others that wore shorts for the race, but not pre race. Here is a picture of the beginning of the race. I drove Dru Sexton and Jack Bugo to the race, as a four wheel drive was needed to get in the park. It is always fun to ride to races and back, with friends. We had no trouble getting up the hill, at the entrance. This was a VERY hard race! Arguably the toughest that 10k that I have done. The now was around 5 to 6 inches deep the whole way. The snow as crusty on top, but soft underneath. I thought that the leaders would pack down a trail, but I was wrong. I was crunching through the snow, the whole time. It really wore me out. 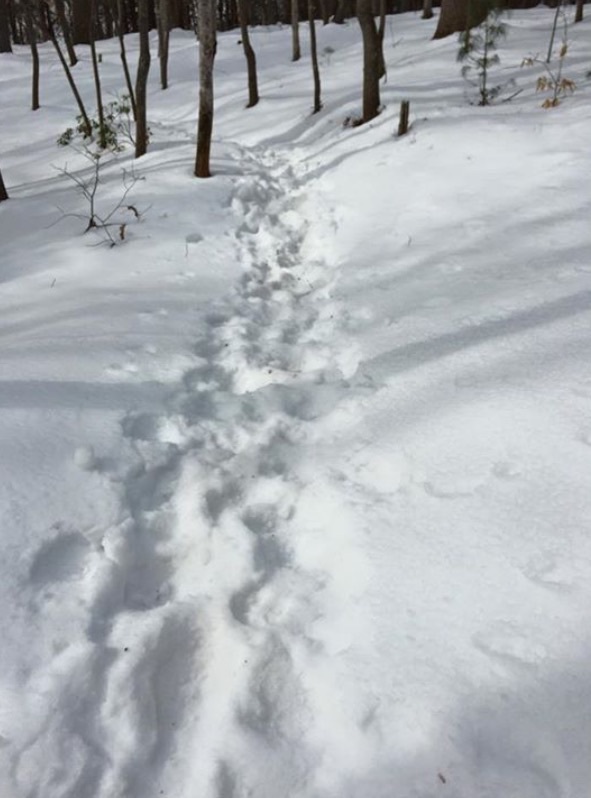 I could not decide whether running in the soft snow was better, or the crunchy untouched snow. I was behind Doug Falls for the first part of the race, but passed him around 2 miles in. He was right behind me most of the rest of the way. I also noticed that Mack McGhee was right behind Doug. I spent most of the race trying to keep Mack behind me. Mack is in my age group and is registered for the RNUTS series, so he is a direct competitor. The cold and snow never bothered me at all. I didn’t feel strong at all, but kept trudging a long. The last mile came. It was hard for me to know what was going on behind me, but I was pretty sure that Mack passed Doug. Then I knew Mack was right behind me. He had more than I did on the last quarter of a mile, going up hill to the finish. He passed me near the end and so did Doug. I was disappointed that I let Mack pass me. Other than that, I was glad the race was over. I was beat. It was a very tough event. My ending time ended up being 1hr 10mn, which shows you how slow the course was, with the snow and conditions. Everyone was much slower. That is 17 minutes slower than my time last year, on this course. I ended up 7th place in my age group, so at least I did better than 8th! 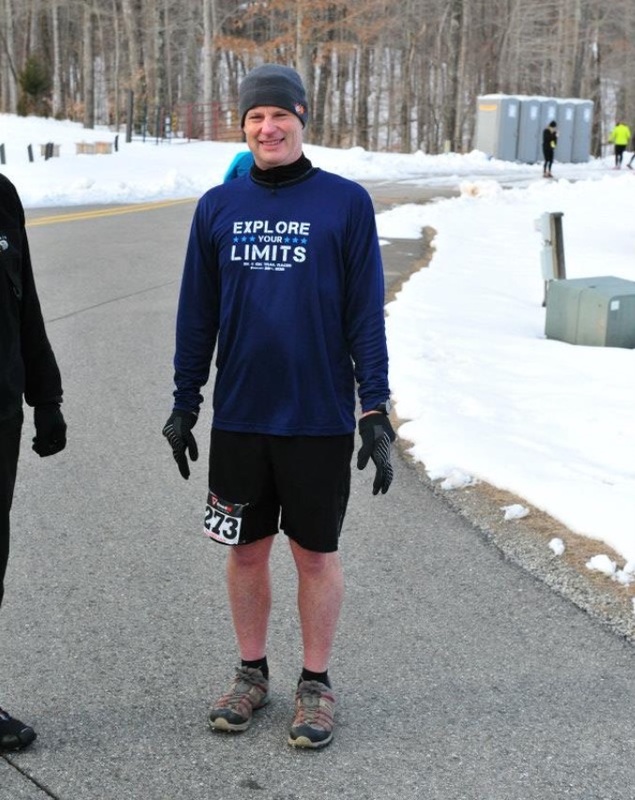 (see top) I fell WAY short of my goal, but I had a great excuse, with the snow! My goal was based on perfect conditions. I don’t think the screws helped much, as most of the snow was so soft. There was some ice on the road portion, that I think it helped on. The achilles soreness was not a factor at all. The 2 ultras I did the past 5 weeks were probably a factor today, but no excuses for that poor performance the last half mile today. I was glad for Doug, as he got 2nd AG for the 50-54 ag. Same for Tabitha Walker, getting third overall in the 10K and Karen Dillon for getting masters for the 5K. Robert Drinkwater and Dru Sexton placed, which is an every race deal for them. Lastly, Eddie Mann placed 2nd in the 5K. Kudos! Some bad news, was that my friend Eian (who already had a recently diagnosed hip stress fracture), was at the race as a spectator. He slipped and broke his femur at the stress fracture..Ugh, that was/is terrible. He is in the hospital now and has had surgery. 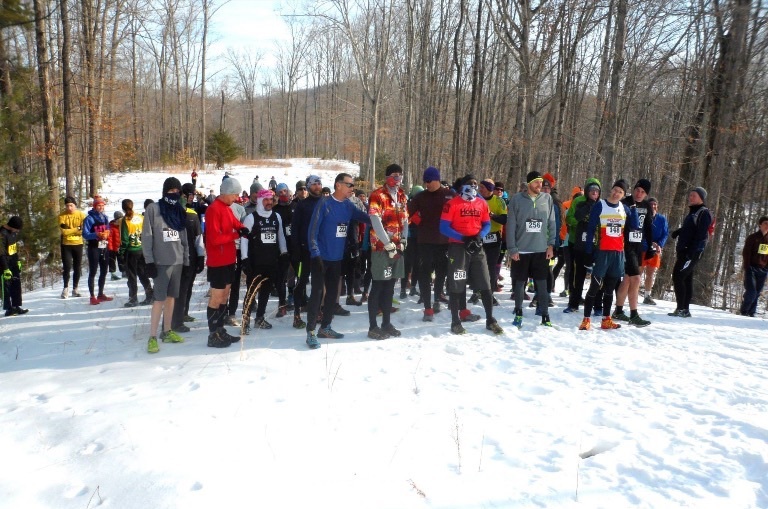 Categories: 10k, adventure, get outside, montrail, mountain junkies, outside, roanoke, roanoke outside, Running, snow, Trail racing, Trailrunning, virginia | Tags: 10k, adventure, explore park, get outside, montrail, mountain junkies, roanoke, roanoke outside, running, snow, trail racing, trail running, trailrace, trailrunning, trails | Permalink.